How awesome is this card I received as part of a swap? 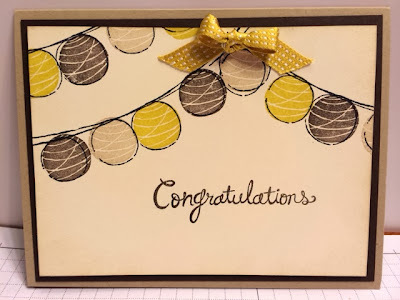 The card features the new set Happy Congratulations from the Occasions catalog. I love the use of Summer Starfruit on this card. Summer Starfruit is one of the five In Colors for 2012-2014 which means after May 31, it'll be gone! If you like Summer Starfruit or any of the other 2012-14 In Colors, I would suggest stocking up before they're gone. To order your In Colors or Happy Congratulations send me an email, give me a call at 289-280-0304 or shop my online store!